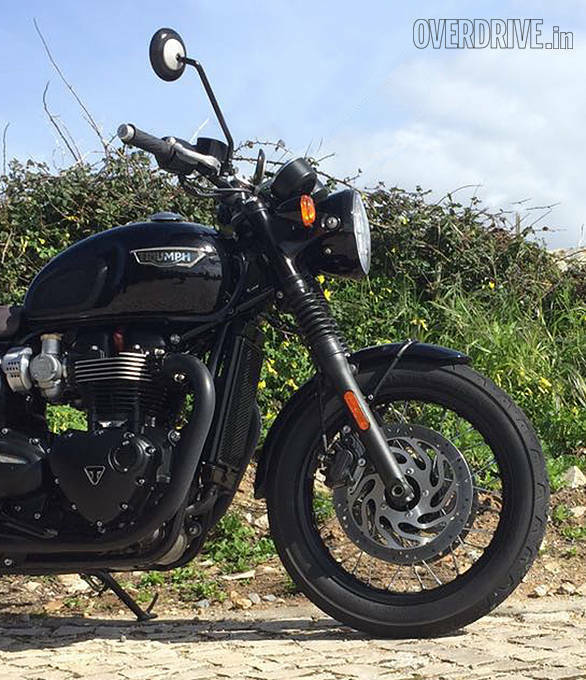 When I rode the new Triumph Street Twin in Valencia in December, I remember thinking to myself, "this is exactly what a modern Bonneville should feel like". It had all the old school charm of the classic British twin, but with all the technological advancements available this side of James Bond's exploding pen. 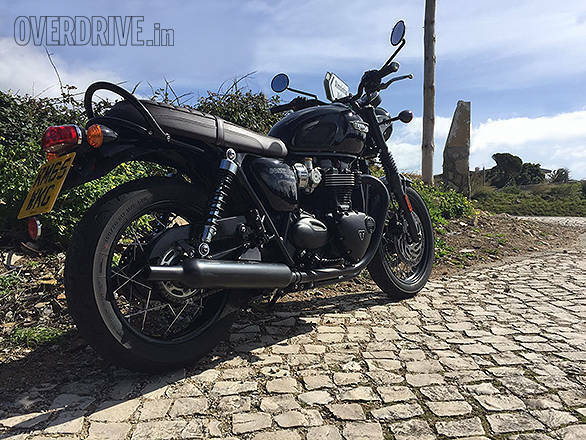 Ride by wire, traction control and ABS were finally on a Bonneville to complement an all new chassis that felt as advanced as any of its modern contemporaries. The Triumph Bonneville had suddenly become a motorcycle that would agree gladly to being hustled through a stretch of twisty mountain road. But what had me really excited was the promise that the Street Twin held. With a chassis that remained more or less unchanged in its transition from the Street Twin, I was certain that the new T120 would take all the great qualities of the Street Twin and throw more displacement and more horsepower into the mix. And that is exactly what Triumph has done. The motorcycle uses a 1200cc parallel twin that makes 80PS and 105Nm, mated to a 6-speed gearbox. Like the Street Twin, the focus for Triumph was to create an engine that delivers usable power. The T120 delivers exactly this. It makes all of its 105Nm at just 3100rpm and there is upwards of 100Nm available from as low as 2500rpm. The motor is so torquey that, with some crafty riding, you can probably go without a single gearshift all through your ride if left it in third or fourth gear. The fully liquid cooled engine has been designed so that the increase in displacement does not come with an increase in size. This was so that they could keep the traditional Bonneville look going. 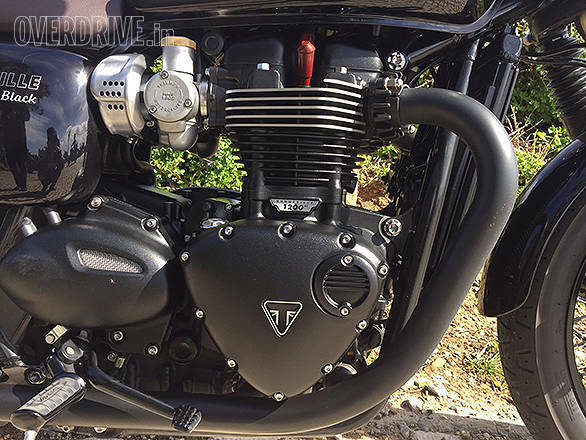 Triumph claims that the motor is 13 per cent more efficient than the previous T100  a 22.2kmpl in the European test cycle. Meanwhile, the highlight of the new motor, for me, is the refinement. The motor by itself transfers absolutely no vibrations through the seat, handlebars or the foot pegs. In fact, other than the meaty soundtrack, you can almost not tell that the motor is running. And if you add to that mix a throttle response that is smoother than a hot knife running through butter, it's a combination that is almost zen like. I can honestly say that the T120 is one of the most refined retro classics out there. This despite having a ton of torque on offer anywhere in the rev range. Imagine riding up a steep uphill section in third gear at under 1000rpm. Most motorcycles would cry in protest. The T120 though just rides that wave of torque and climbs up without even a hint of hesitation. There is absolutely no knocking or protest from the engine. It is almost diesel like. Minus the clatter and the noise of course. As I said before, the T120 comes with a full suite of electronics. As with the Street Twin, the T120 too gets ride by wire. As a result, Triumph was able to give the motorcycle traction control and two riding modes. The traction control is a bit lazy and only interferes in situations where you're riding on super low traction surfaces  sand for example. In all other conditions, the power delivery is so gentle and smooth that the electronics never have to cut in. As with the power modes, there are two  rain and road. Both the riding modes give full power but different throttle maps. But it is not like you ever needed a gentler throttle in any case. In fact, the throttle is so gentle that even mid corner throttle inputs don't upset the motorcycle. Of course, this has a lot to with the way this chassis is set up as well. When compared to the the older Bonnie, the rake angle has been made sharper and the trail and wheelbase too has been reduced. As a result, the motorcycle has become a lot sharper to ride, much like the Street Twin. The only complaint I have is that thanks to the 18-inch front wheel (the rear is a 17-inch), the T120 is a bit heavy to turn in. You need a bit of effort to get it to change direction. But not too much. Witching a few minutes you will hardly even notice it. Before you know it, you will be chucking the T120 into corners. The T120 uses conventional forks up front with twin, dual rate shocks at the back. The suspension is set up rather soft. In fact it is softer than the Street Twin too. This does make it a tiny bit wallow-y in the corner, but on the plus side, it does wonders for the ride quality. 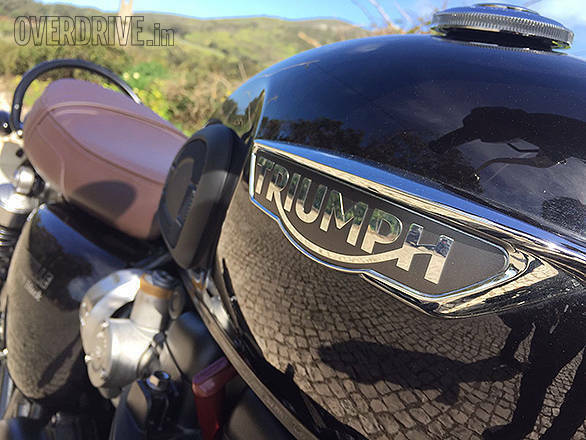 The ride quality on the T120 is super plush. On cobble stone roads, over manhole covers and even over broken stretches of tarmac, you cannot feel a thing. The motorcycle soaks up everything thrown its way. But as I said before, the wonderful thing about the T120 is that the plush ride takes absolutely nothing away from the way the motorcycle handles. In fact, for a motorcycle that looks so retro, there is nothing retro about the kind of performance, dynamics and comfort that Triumph has managed to pack into it. The ergonomics are super comfortable (although I do wish the pegs weren't so low  it grinds a lot in corners) and the looks are classically British. It is a true evolution of the Bonneville. As the guys over at Triumph say, "this is what the Bonneville would have been had it been developed and manufactured today". It is the perfect evolution of the Bonneville. The T120 borrows heavily from the T120 from 1969. The silhouette has been deliberately designed to resemble the same. The tank shape is similar and it is only offered with spoke wheels. 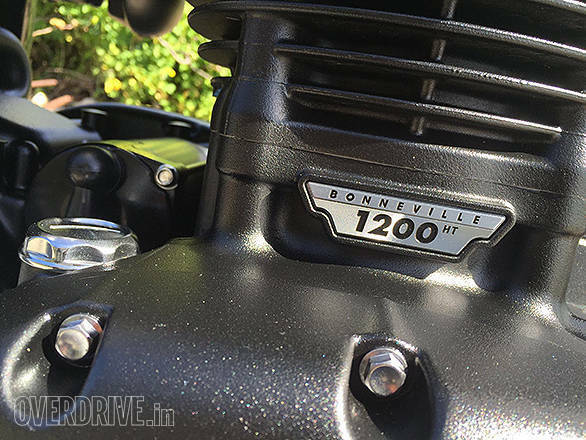 One of the most important design features of the Bonnevilles have always been their engines and this holds true for the T120 as well. With deliberate intent, triumph has managed to make the engine look no bigger than it was before despite the increase in capacity. The T120 Black edition that I rode gets all its bits and bobs finished in matte black and is available only in two colours  gloss black or matte great. Both colours get a plush seat finished in lovely brown leather, under which sits a USB charging point. There is also a list of over 160 accessories that you can outfit your T120 with, ranging from tail tidy kits to wind deflectors, bench seats and luggage. The T120 then, is a true evolution of the Bonneville. The guys over at Triumph keep saying, "this is what the Bonneville would have been had it been developed and manufactured today". I couldn't agree more. It combines the old school charm and good looks of the original Bonneville with the refinement and performance of a modern motorcycle. It looks good, handles well and is one of the smoothest motorcycles out in the market today. 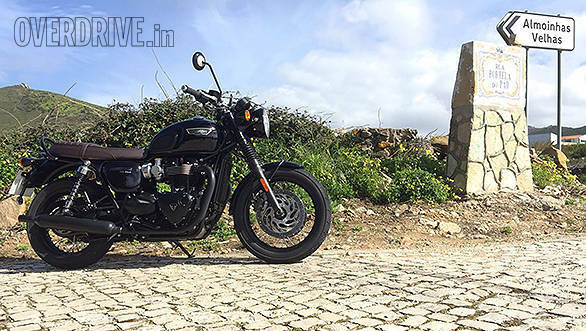 Sadly though, the T120 Black will not be available in India. But that's okay, because all you will miss out on is some paint and finish differences. Nevertheless, at Rs 8.7 lakh (ex-showroom, Delhi) the T120 is a great motorcycle that will do the daily commute as well as the occasional road trip. Oh, and did I mention it is super smooth?